Summary: 5 expat moms offer candid insight into what it's like giving birth in Italy - from bringing towels and toilet paper with you to the hospital to being refused pain medication. And, like most advice in Italy, word of mouth is the best way to find a good OB/GYN. "I had my little boy in Galliera Hospital in Genova last July. My partner is Italian and he thought that it was the best choice as he had heard good reports about the hospital. I went to the pre natal classes although I cannot speak fluent Italian it help me get used to the staff and always the lay out of the maternity ward. I had to stay in the hospital for 3 days after the birth. I was so happy when I finally got to leave as I didn't enjoy being in there, on the whole most of the staff were lovely but there were a few staff who spoke to me in English which was very much appreciated," confessed one expat mom who had a baby in Italy. An expat mom who had a baby while living in Rome described her experience saying, "It was really positive experience. I gave birth to my daughter to one of the largest public hospitals of Rome - Gemelli and I definitely recommend it to everybody. It is free, delivery room is private and huge with a toilet and shower etc. There was 5 members of the staff with me, including 2 students on practice. Everyone was really nice, caring and professional. As I had a spontaneous birth-giving, I couldn't use any anesthesia, so no experience there. But a couple of weeks before, I had a meeting with anesthesiologist in the same hospital, signed all the papers, and had all things explained, really useful. Almost all doctors there are English-speaking, such a relief! The maternity rooms are semi-private, with a toilet and the shower, and the nursery is next-door. They taking the babies away only for the tests and for the night, from 12 till 6, but if you'll ask, the nurses will leave the baby with you the whole night. The nurses are professional and helpful, you can always ask for the help in changing, breast-feeding etc." "The hospital in Vasto offers pre-birthing classes, which are useful for meeting other moms-to-be, and for getting used to the hospital scene. Not so useful for really preparing you for birth. Most of the GYNs are highly qualified and the Obstetricians seem to be more like nurses, however, there are a couple of gyns who are hideous and do not treat patients with respect or understanding. The hospital is trying to update some of their equipment, allowing water births and such, but the basic equipment (iv sack racks, beds, bathrooms, monitors for tracking baby's heartbeat, etc.) are really out-of-date. All the rooms are shared with another patient. If you happen to give birth during a slow time you can pay a small amount of ? and have a whole room to yourself. Husbands don't spend the night, babies are all kept in the nursery (still in the 50's?). I had to argue and sign off to accept all responsibility to keep my baby in the room with me so I could nurse her at night. I did not get any reports about the baby's health. She had jaundice and they suspected it and didn't tell me. I was all packed and ready to check out of the hospital after 3 days and they told me to go ahead and go but they were keeping the baby! I flipped and ended up staying another 3 days. I was getting no rest because they had left me the baby and didn't give me any breaks. They are very noisy, about 5 different people pass through your room every day banging stuff and cleaning stuff. Then the nurses are all chatting loudly in the hall right after lunch when you are trying to fall asleep. Oh, yes, and no epidurals or pain killers unless you are having a c-section," recalled an expat who gave birth in Vasto, Italy. An expat mom in Chieti offered some helpful advice about what to bring to the hospital, "It was important for my Italian born husband to have our daughter born in his hometown so we stayed for 6 months (his mom and sister live there). This was my 4th baby, but my 1st in Italy. I packed for the hospital but didn't realize that I needed EVERYTHING, including toilet paper, soap, spoon, fork, cups, water. When I found out that I needed more necessities and didn't have a cell phone I was denied making 1 phone call to let my husband know what I needed, and the staff knew I didn't speak fluent Italian." "I gave birth in Ospedale Civile, it had been recommended to me by my gynecologist for having a low c-section outcome, other local hospitals are apparently quick to opt for them when a labour is progressing slowly. It is an old hospital and I shared a room with 3 other women. The babies are kept in a nursery and brought to the Mums for feeding only. There were a number of shared bathrooms however they were all very shabby and small. I had to take my own toilet roll, cups, water but I knew this in advance. Altogether I spent 6 days in hospital, because of being admitted, but normally only 4 days is required after a c section or 3 after a normal birth. For me it wasn't a very positive experience, it was my first baby and I don't speak fluent Italian, when my labour started I wasn't moved to a private room, when the evening came my husband was told to go home and come back in the morning and that I should try to sleep which is not easy when you're having contractions every 5 minutes, they wouldn't break my waters until the morning which meant my labour progressed very slowly, the c section was fine, however my husband was not allowed to enter and when they took the baby out I wasn't allowed to see him so I had to wait a further 2 hours," said one mom who had a baby while living in Alghero, Italy. "And, yes, you have to bring your own tp, silverware, wipes, baby clothes, pads, towels, extra blankets and pillows if you want them, etc. Obviously there are no phones for patients to use, so bring a cell phone," said another mom. "I choose my Doctor through word of mouth mainly because he spoke a bit of English and we had heard good reports about him," said one expat mom who had a baby while living in Genova Italy. "Word of mouth is a key in Italy. Ask me if you need a good English-speaking gynecologist or pediatrician," commented a mom in Rome. "I used the local consultorio familiare, I really like the gynecologist and midwife who worked there, they were both excellent and very thorough. I don't believe in paying for a private gynecologist when there is a state health service," replied another mom in Italy. An expat who had a baby in Vasto, Italy said that she found her OB/GYN, "Through recommendation of a friend. He was great. However, he decided to move his practice out of town a few months ago, and apparently patients are not privy to that info... you only find out through the grapevine or if one day you need to make an appointment and realize you have to find a new gyn." "My sister in law recommended the doctor, who was excellent and spoke English," explained another mom. "I chose beforehand a midwife that would assist me through delivery, on top of the midewives that would have been doing their shift, I chose he through word of mouth. I strongly reccomend you choose one, for instance go to a birth preparation course and ask other mothers. Get to know the midwife before, you have to trust her when you are there. If she commits to assist you you will have to give her some money, how much is up to you, at least in my experience. She was really embarassed when (coming from London where you pay also for the air you breath) I asked her how much it was," advised a mom in Verona. Were Expats Moms-to-Be Given Pain Medications as Needed? "I had a epidural which was my form of pain relief as I would have preferred to use the birthing pool but it was out of order so I opted for the epidural instead," reported one expat who had a baby in Genova. "I wanted a natural birth but presumed pain relief would have been available (after speaking to my mother in law), in fact they refused to give me anything despite being in labour for over 24hrs, I had been admitted as my baby was 10 days over due. Eventually a c section was required but I know for me there was no other option and the staff tried everything they could to deliver naturally," said one expat mom. "They apparently do not believe in pain medication during labor in ANY form-I had 3 natural births but this labor was unbearably intense but I was told to deal with it," explained another mom who had a baby in Chieti. Do Hospitals Offer Support for Breastfeeding Moms? "I gave birth in a public hospital. The delivery room was huge, about 6 times bigger than the delivery rooms I had seen in London, great! I had problems with breastfeeding and found the hospital didn't offer much support, although Il Melograno (breastfeeding support org) and a pharmacy offered me great support. I eventually breastfed for 9 months, on a mixed regime," replied one mom. "Just be ready for the unexpected and find someone who will advocate for you so that you will have full access to your rights to choose on all the issues like breastfeeding vs. bottles etc.," said one mom. Another said, "Get a private hospital and doctor-request the option of medication if needed." "Don't waste your time and money on private clinics. Maybe they will have nicer looking reception and not so many people waiting, but the best professionals are working in large state hospitals, best equipment end supplies are there either. One of my friends had a horrible experience in one of the most popular private clinics," recommended one mom in Rome. "I did everything within my power... the only thing I would do differently is to search for a really really really good friend or even someone who I could PAY to just HELP ME the whole time after the birth. (forgot to mention that I had my sister with me during the labour and birth and she was a star, but she was on the plane the day after the baby finally came! I am so glad she was there because the nurse and Obstetrician were half asleep and sitting in the corner chatting most of the time. The gyn just popped in once in a while to check on things," said another mom. "Italians are obsessed with anything that could go wrong. The British instead tell you Ok you are pregnant so what? Millions are. Come back in 9 months. The right approach for me is somewhere in the middle, so don't get too paranoid like most Italians do... (but still be carefull with your salad if you haven't had the Toxo). In my town I found great services supporting mom and baby in the first months, and mostly free. But again, don't search on the internet, you won't find. 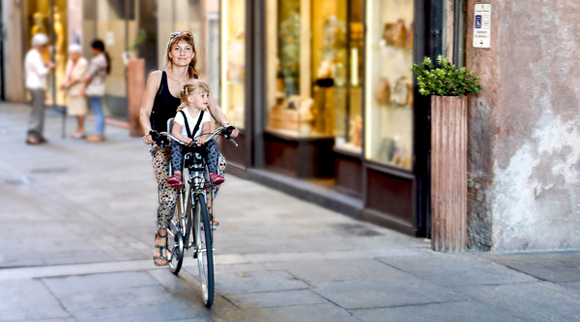 Talk to other mothers, in Italy word of mouth is key," explained a mom who had a baby in Italy. 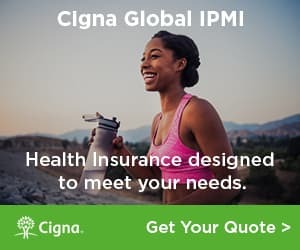 Expats living in Italy interested in expat health insurance should take a minute to get a quote from our trusted expat health insurance partner, CIGNA. Visit our Italy Forum and talk with other expats who can offer you insight and tips about living in Italy. 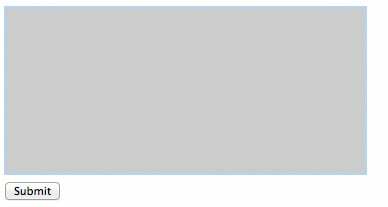 Finding an expat job in Italy can be challenging. Here are 6 cities in Italy where expats have been able to find a job and live their expat dream. Life in Italy for expats is glamorized in the movies, and there's nothing at all wrong with that. Here are 5 movies set in Italy that will help you fall in love with Italy all over again. Expats moving to Italy envision a romantic lifestyle in one of the most beautiful countries in the world. However, it is important to make sure that you do comprehensive research and fully understand what it will mean to move to the city, town or village you choose.